Utah State University-Uintah Basin professor Becky Williams, and Rich Etchberger, USU vice provost of regional campuses and former USU-Uintah Basin wildlife science professor, were recognized by the U.S. Forest Service with the 2018 Regional Forest Award for their work in the Uintah Youth Conservation Corps. Following its 61-19 Mountain West home win against New Mexico on Oct. 26, Utah State football is nationally ranked for the first time since 2012 as it comes in at No. 18 in the Associated Press (AP) Poll and 20th in the Amway Coaches Poll. Utah State garnered 340 votes in this week's AP poll to be nationally ranked for the first time since 2012 when that Aggie team went 11-2 and set a school record for wins as it finished the year ranked 16th in the nation. USU also received 281 votes in this week's Coaches' Poll. Read more. For the second time, the Caine Dairy Teaching and Research Center was ranked the number one college dairy herd in the nation by Holstein World magazine. The classification scoring system, developed by the Holstein Association USA, is known as the official herd Breed Age Average (BAA) and shows dairymen how their herd measures up against other registered Holstein herds in the industry. The magazine uses the scores to rank dairies by size and has a special category for college dairies. Read more. Utah State University President Noelle Cockett sent an email today, Sept. 26, to students and employees in the USU Music Department, addressing concerns in the piano program. Read more. Scientists have long studied humans and their relationships with each other and their environments. But for the first time ever, a group of anthropologists and sustainability scientists has, in a single effort, crunched data reaching back 10,000 years and over four continents. Read more. Utah State University held a luminary procession to welcome the incoming freshman class during the first week of school. “During the years ahead of you, you will experience successes, victories, great times and wonderful memories,” said USU President Noelle E. Cockett. “We are going to light that ‘A’ blue for you folks, our incoming class.” Read more. With the 2018 fall semester now in session, the Utah State University campus is buzzing with activity from the busy lecture halls all the way to the campus Quad. And with the 2018 College Rankings from Washington Monthly freshly in hand, the students at USU are going to school ranked as one of the top 30 national universities. 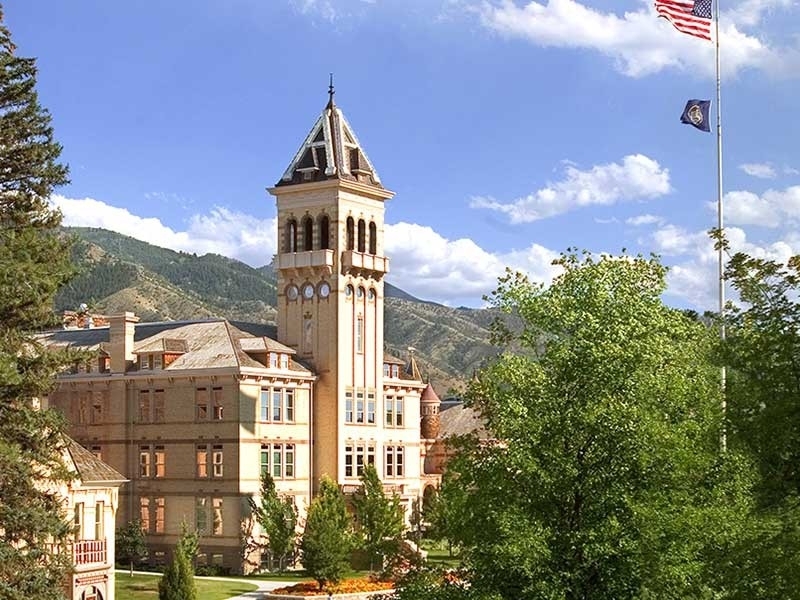 USU was ranked as the 5th best public national university in the nation, No. 12 overall, in Washington Monthly’s 2018 College Rankings. Read more. About four years ago, Utah State University chemist Lisa Berreau posed a question to USU colleague and toxicologist Abby Benninghoff. “My students and I had developed a new flavonoid molecule that could release carbon monoxide,” Berreau recalls. “And we were seeking an answer to the question, ‘Could it kill cancer cells?’” Read more. In order to adapt to the changing needs of its students, Utah State University is undergoing an organizational restructuring that will shift a number of offices from the Office of Student Affairs to Academic and Instructional Services and Provost offices. The university anticipates having the transition completed by Sept. 1. Read more. 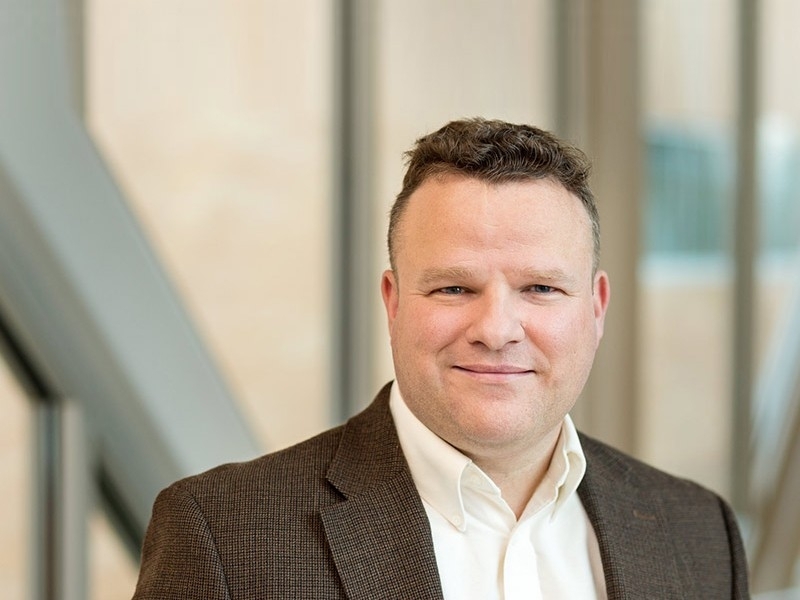 The United Nations Association of the United States of America (UNA-USA), in partnership with the U.S. Department of State, is pleased to announce the selection of Michael Scott Peters of Utah as the 2018-2019 U.S. Youth Observer to the United Nations. Peters was chosen from a competitive pool of young Americans between the ages of 18-25 from across the country. Read more. United States Air Force officials are taking a close look at a USU student design that may help the planet’s growing space junk problem. A team of undergraduate students in USU’s Department of Mechanical Engineering designed and built a device to capture orbital debris. The Human-Assisted Debris Extractor for Space, or HADES, system is designed to capture orbital junk using a pressurized net and drag device. 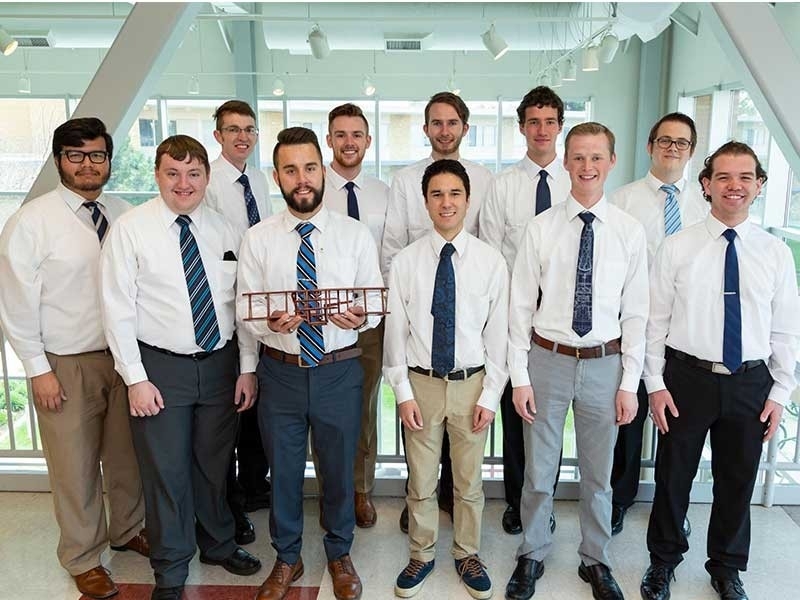 The design earned the 11-member team a first-place win at the Air Force Research Lab University Design Challenge held April 11 at Arnold Air Force Base in Tennessee. The award is the third first-place win for USU. Read more. Back in 1905, the Colorado River, swollen with heavy rainfall and snowmelt, surged into a dry lake bed along California’s San Andreas Fault and formed the Salton Sea. The flood waters submerged most of the small town of Salton, along with nearby tribal lands. The inundation also covered a key, seismically active stretch of the San Andreas Fault’s southern tip in silt, hiding evidence of its potential volatility.Back in 1905, the Colorado River, swollen with heavy rainfall and snowmelt, surged into a dry lake bed along California’s San Andreas Fault and formed the Salton Sea. The flood waters submerged most of the small town of Salton, along with nearby tribal lands. The inundation also covered a key, seismically active stretch of the San Andreas Fault’s southern tip in silt, hiding evidence of its potential volatility. Read more. There are many ways to describe chocolate: Dark, milk, bittersweet, creamy, rich, smooth. And soon, chocolate will become a delicious and intriguing new venture for Utah State University’s food science program with the opening of The Aggie Chocolate Factory. Read more. Longtime Utah State University professor and administrator Jagath Kaluarachchi has been selected as the new dean of USU’s College of Engineering. Kaluarachchi, who has served as the interim dean in the College of Engineering since July 2016, will officially step into a permanent role on July 1. Read more. Utah State University welcomes four distinguished individuals to receive honorary degrees during its 131st graduation ceremony. Those receiving honorary degrees are Thierry Fischer, conductor and music director for the Utah Symphony, Bartell C. Jensen, former USU vice president for research former president of the USU Research Foundation and Space Dynamics Laboratory; John Welch, founding partner of Los-Angeles, California-based law firm Latham and Watkins; and Gail Sorenson Williamsen, founder of the Elizabeth Academy in Salt Lake, an innovative and fully-inclusive Montessori school. Read more. A veterinarian, researcher, author, teacher and administrator over the past 34 years has been selected to be the new executive vice president and provost of Utah State University. Francis D. Galey, dean of the College of Agriculture and Natural Resources at the University of Wyoming, accepted the offer Monday from USU President Noelle Cockett. He fills the position she left vacant upon becoming the university’s 16th president in January 2017. Read more. Utah State University physics professor David Peak is the 2018 recipient of the national Council on Undergraduate Research-Goldwater Scholars Faculty Mentor Award. Selected from 10 finalists nationwide, Peak has mentored, to date, more than 30 USU undergraduates, who have received a phenomenal 36 Goldwater Scholarships and Honorable Mentions – a number that rivals Ivy League competitors. Read more. Out-of-state students attending Utah State University this fall can potentially save thousands of dollars in tuition thanks to the recent passing of a bill by the Utah Legislature which altered the Alumni Legacy Waiver. Sponsored by Rep. Val K. Potter, R-North Logan, House Bill 349 was passed March 6, making it easier for nonresident students who are the children or grandchildren of USU graduates to pay a reduced tuition amount. Read more. New research findings posted March 7, 2018, by Utah State University geologist Benjamin Burger on the EarthArXiv Preprints website, are generating worldwide media interest about what caused the Earth’s deadliest mass extinction, often referred to as the “Great Dying,” 252 million years ago. Read more. A researcher at Utah State University is developing non-visual techniques to teach the fundamentals of engineering to students who are blind or low vision. Wade Goodridge, an assistant professor of engineering education at USU, is partnering with the National Federation of the Blind to help students develop spatial abilities and increase their awareness of education and career opportunities in engineering. Read more. Is evolution predictable? Are changes in a species random or do they happen because of natural selection? “Evolution often appears random, even when driven by the deterministic process of natural selection, because we just aren’t aware of all the environmental fluctuations and other factors taking place that drive change,” says Utah State University geneticist Zach Gompert. “If we had a better understanding of the mechanisms at play, we might have a better picture of evolutionary change and its predictability.” Read more. Utah State student-athletes registered record-setting results both on the fields of competition and in the classroom during the Fall of 2017 academic semester. Utah State student-athletes lit up the academic scoreboard last semester with 47 individuals achieving a perfect 4.0 grade point average. Read more. Among the nation’s most accomplished researchers on family dynamics, particularly parent-child estrangement, is Kristina Scharp, an assistant professor of Communication Studies and director of the Family Communication and Relationships Lab in the College of Humanities and Social Sciences. Read more. WebAIM has long set the standard for web accessibility, and its WAVE tool has made it possible for people everywhere to find out whether a web page is usable for people with disabilities. Now, new options make it possible to use WAVE across an entire website. Read more. Nearly 2,000 years ago, Fremont Indians hunted, farmed corn and scooped out underground homes, all under the blazing blue skies of what’s now northeastern Utah. But they remain something of a puzzle. Read more. Utah State University Aggies love tradition, so it’s only fitting they observed an ancient tradition, while celebrating a major milestone in the construction of the new Life Sciences Building. Aggie scientists and supporters, along with Jacobsen Construction employees, representing the structure’s contractor, gathered Dec. 12, to mark the placement of the final steel beam atop the 103,000-square-foot facility. Read more. In a room packed with colleagues, advocates and family members at the Association of University Centers on Disabilities (AUCD) Honors Celebration in Washington, D.C., Judith Holt was presented the George S. Jesien Distinguished Achievement Award November 7. The award recognizes “a distinguished career of excellence and leadership in support of AUCD’s mission to advance policy and practice for and with people living with developmental and other disabilities, their families and communities.” Read more. Early flowering, early fruiting: Anecdotal evidence of climate change is popping up as quickly as spring crocuses, but is it coincidence or confirmation of shifts in plant phenology caused by global warming? Until now, scientists had few tools to piece together disparate data into a collective, bigger picture. Now, Pearse and colleagues announce a statistical estimator that extracts meaningful measures of phenological change – that is, the timing of plants’ reoccurring life history events – from scores of data collected by current and ancestral citizen scientists (Henry David Thoreau among the latter cohort), along a continuous record from herbaria plant collections stretching more than 200 years into the past. Their findings appear in the Nov. 6, 2017, online edition of Nature Ecology & Evolution. Read More. Broadcast students in the Department of Journalism and Communication at Utah State University took home the award for Best Newscast from the National Academy of Television Arts and Sciences’ university competition. NATAS, the organization responsible for the Emmy Awards, announced the Student Production Awards Oct. 14 in a ceremony prior to its Regional Emmy Awards gala. Read more. Utah State University Eastern in Price Utah unveiled its Block A as part of USU’s Homecoming celebration in October. The Block A is a replica of the iconic statue in Logan where one becomes a “True Aggie” by kissing at midnight under lighted “A” on Old Main tower under a full moon and during special university events such as Homecoming and “A” Day. Read more. Incoming students at Utah State University will participate in the second annual Connections Luminary, a new tradition at the institution. Students enrolled in the USU 1010 Connections course will each light a luminary lantern shaped like the tower of Old Main, and will participate in a processional from the Spectrum to the USU Quad on the Logan campus Friday, Aug. 25, at 9 p.m. Read more. Can Design of Wearable Technology Impact Health? Chris Thurston lives a pretty typical life for a 9-year-old; except that he just co-authored a research paper for a medical journal, and he manages Type 1 Diabetes during nearly every moment of his life. Victor Lee, associate professor of Instructional Technology and Learning Sciences in Utah State University’s Emma Eccles Jones College of Education and Human Services, along with Chris’s father Travis Thurston, are co-authors of an article published in July 2017 in Methods of Information in Medicine on how data collection and its related discoveries are shaped by the design of wearable technology. Read more. She was dignified, decorous and an island of calm waters. Still, Ms. Mary Thorp remains the perfect storm in the sea of World War I scholarship. An English Governess in the Great War (Oxford University Press, June 2017) introduces one to this extraordinary, formidable English woman through the pages of her wartime diary, edited and footnoted by Tammy Proctor, head of Utah State University’s Department of History, and Sophie De Schaepdrijver, a professor at Pennsylvania State University. Read more. Utah State University’s Gaining Early Awareness and Readiness for Undergraduate Programs (GEAR UP) program and Space Dynamics Laboratory have partnered with U.S. Senator Orrin Hatch and NASA to provide a live conversation between astronauts currently aboard the International Space Station and more than 200 students from across Utah. The downlink occurred at 10:40 a.m. (MDT), Friday May 19. The 20-minute Earth-to-space call aired live on NASA Television and the agency’s website. Read more. USU natural resources sociologist Courtney Flint is usually absorbed in the study of humanity’s intersection with the natural world. Since Monday, her time has gone to answering a barrage of emails and calls from news reporters worldwide seeking her opinion of news that she would no longer be on a scientific board that advises the Environmental Protection Agency. Read more. Utah State University Extension was recently named Best of State winner for adult education in Utah. The Best of State Awards recognize outstanding individuals, organizations and businesses in Utah. Nominees are judged on achievement in their field of endeavor; innovation or creativity in approaches, techniques, methods or processes; and contribution to improving the quality of life in Utah. Read more. Utah State University scholars Jake Christensen and Thomas Hill were named 2017 Goldwater Scholars, and fellow undergraduate A. J. Walters received an honorable mention, in a prestigious national competition that recognizes outstanding achievements in science and mathematics. Read more. “U.S. News and World Report” magazine has again named the graduate programs in Utah State University's Emma Eccles Jones College of Education and Human Services among the top tier of colleges of education in the nation. In the 2018 edition of "America's Best Graduate Schools," the magazine ranked the college 26th in the nation overall against all graduate colleges of education. The college has moved up from 30th last year and is the only school of education in Utah to place in the top 50. Read more. Can earthlings live on Mars? They can if they develop self-sufficiency. NASA is betting on a multi-institution team of the best and brightest, including Utah State University scientists, to create the necessary technology and put it in the hands of future Mars pioneers. Read more. Factory Girl, Corey Christiansen’s June 2016 album, has been named one of the “Best Recordings of 2016” by allaboutjazz.com. Christiansen, director of guitar studies in the Caine College of the Arts at Utah State University, is noted along with other jazz greats like Dr. Lonnie Smith and Bill Frisell. Read more. If you’re shivering from unusually teeth-rattling cold this holiday season, global warming is probably the last thing on your mind. Howe says people’s beliefs about climate change are driven by many factors, but a new study in which he participated suggests weather events in your own backyard may be an important influence. Read more. President Stan and Joyce Albrecht may have planned on a brisk walk in the 21-degree weather from Old Main to the Taggart Student Center ballroom on the Utah State University campus in early December for their farewell reception, but something else happened along the way that slowed them down considerably. Hundreds of university faculty, staff and students surprised the institution’s 15th president and first lady by lining the sidewalk the entire way in a show of gratitude and appreciation for their 11 years and 11 months of service. Read more. Two Utah State University interior design students from the Caine College of the Arts won prizes at the National Daltile Student Competition. Ali Guyman and Ben Roghaar each took home honorable mentions and $2,500. USU’s Interior Design Program won a university grant of $10,000 for having the highest number of students entered in the competition. Read more. After a nationwide search and a review of nearly 40 applicants, the Utah State University Presidential Search Committee has recommended four finalists to the State Board of Regents for the position of Utah State University President: Dr. Don Blackketter, Dr. Noelle Cockett, Dr. Keith Miller and Dr. Mark Rudin. Read more. Utah State University is the recipient of a competitive $2.7 million National Science Foundation Research Traineeship award that will afford USU students in 20 STEM graduate degree programs the opportunity to pursue advanced interdisciplinary research training and a Climate Adaptation Science specialization. Read more. For the past four years, scientists at Utah State University’s Space Dynamics Lab have spent much of their time designing and constructing cameras for NASA’s OSIRIS-REx mission. On Thursday night [Sept, 8, 2016], the rocket finally lifted off from Florida’s Cape Canaveral Air Force Station, and scientists gathered with their families to celebrate years of hard work. Read more. A team of environmental engineers and a wetland ecologist have created a computer model that can help wetland biologists increase the size of migratory bird habitat and combat invasive vegetation using existing resources. Read more. SALT LAKE CITY - More than 18,700 votes later, Aggie Ice Cream handily won KSL.com’s poll for the best local ice cream shop. The on-campus parlor beat out 15 other contestants by taking 33 percent of the votes. BYU Creamery came in second place with 22 percent of the votes and Leatherby’s, with 15 percent, rounded out the top three. Read more. In World War II, Britain and America built two full-size harbors, dragged them across the English Channel and hitched them in place at Normandy, France. That same day, thousands of Allied soldiers clambered onto the beaches of Normandy. Now, we’re talking harbors, usually very large constructions that provide protective, wakeless enclosures for ships. So, why aren’t these portable, towable harbors that played such a vital role in the Normandy invasion a better-known fact of war history? Read more. Fifteen students from Utah State University’s Department of Landscape Architecture and Environmental Planning (LAEP) learned from prestigious landscape architects and explored notable landmarks on a ten-day educational trip to New York City. Read more. Second grade students from the Edith Bowen Laboratory School on the Utah State University campus were key players in a collaborative conservation effort along the banks of Cache Valley’s Blacksmith Fork River. Read more. With a sharp military salute — and hug from mom — nine young men in Utah State University’s Air Force ROTC were commissioned as second lieutenants May 6. All of the new officers have their orders and are headed to Air Force bases around the country, said Lt. Col. Alex Dubovik, professor and director of Aerospace Studies in the College of Humanities and Social Sciences. Read more. For Sharon and Bill Larkin of Fruit Heights, the block “A” on Utah State University’s campus represents making a commitment that is 41 years strong. Read more. A suite of space-weather instruments built for NASA by Utah State University’s Space Dynamics Laboratory has entered environmental testing at SDL’s Calibration and Optical Research Laboratory. NASA’s Ionospheric Connection Explorer mission, known as ICON, will explore the area of the atmosphere where weather on Earth and weather in space meet, creating conditions that may affect terrestrial communications. ICON will help scientists better understand the upper atmosphere and to determine the causes of energy variations in that region. Read more. Utah State University’s Emma Eccles Jones College of Education and Human Services has been named as one of the U.S. News & World Report’s top 50 graduate education programs in the nation. Read more. Utah State University has flown more experiments to space than most universities around the world, due in large part to the work of Bruce Bugbee. For his continued demonstration of creative achievement and excellence in research, the College of Agriculture and Applied Sciences researcher is the 2016 D. Wynne Thorne Career Research Award recipient, the most prestigious research accolade given at USU. Read more. Rahul Thakkar actually left his home in India because he figured it would be easier to make movies in Hollywood than it would be in Bollywood. Still, after securing a master’s degree in computer graphics from Utah State University in 1995 — which led to a digital movie-making toolkit of sorts he designed for DreamWorks Animation, and, later on, a number of patents — Thakkar is now a part of Hollywood’s most celebrated inner circle. He’s an Oscar® winner and will be presented a Science and Technical Achievement Academy Award® Saturday, Feb. 13, in Beverly Hills. Read more. It takes a perfect flick of the wrist and just the right angle to get a disk-shaped stone to skip across the surface of the water multiple times. So why is it so easy to get such impressive water-skipping performance from an elastic ball with only a mediocre launch? Read more. Utah State University President Stan L. Albrecht announced today [Feb. 3, 2016] that he will step down as president. He will remain in his role until a search for his successor is complete. Read More. The Utah State University Center for Civic Engagement and Service-Learning was awarded two grants by the Utah Clean Air Partnership totaling $29,000 to reduce emissions and improve air quality. Read more. Life-threatening infection is an ominous risk hanging over each and every invasive medical procedure. Needles, tubes, catheters and scopes, along with stents and other medical implants used in life-saving surgeries and treatments are critical tools for successful outcomes, but each poses potential danger. According to the Centers for Disease Control and Prevention, thousands of patients each year in the United States contract antibiotic-resistant, and sometimes deadly, bacterial infections during medical care. Read more.